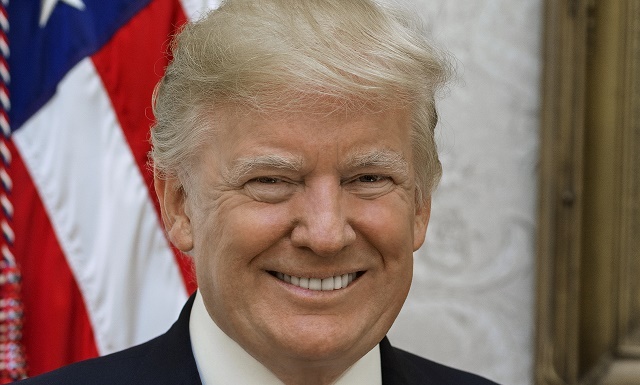 President Donald Trump’s official White House photo. Like an aging cat burglar, Trump has long planned his escape. And it is brilliant. It is common knowledge that Trump did not expect to win the Presidency. It was seen as a clever branding exercise. Early on, many pundits predicted that Trump would not finish his term. Supposedly he would simply walk away—as he did from his multiple business bankruptcies. Trump’s excessive use of “executive time,” constant golf outings, and Mar-a-Lago getaways show the pressing demands of high office have begun to take their toll. He has always been bored with briefing reports, the detail and tedium of study and preparations, and any analysis of the long-term consequences of his numerous threats and penchant for chaos. Trump is an action junkie. And his favorite action requires maximum attention: flags, crowds, media, chants, noise and lots and lots of controversy. He excels at these fancy dress, flag-hugging, mega-media, carnival-like moments. But, he is getting tired. 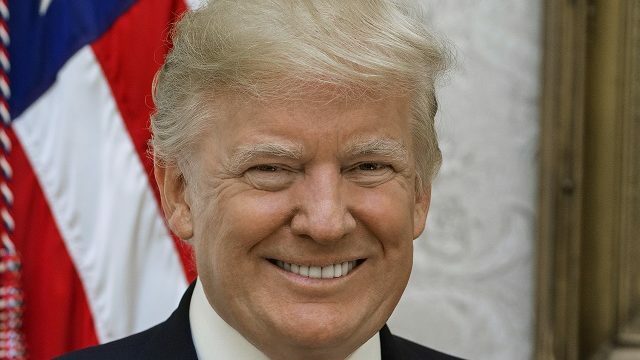 Dozens of federal and state investigations into his finances and business history, the Mueller report, various lawsuits, internal leaks, slips and slides in the polls, and the non-stop election cycle have taken their toll. Even Fox News seems to be less devoted now that the younger Murdoch family members are in charge. Trump is not just bored, but tired. You can see it in his gait. It’s in the worn-out strategies from his now decades-old play book. And you can also see it in his new musings. It is his brilliant escape plan: a plan that would make Houdini proud. He intends to write a memoir and is taking names and settling scores. A sensational, best-selling memoir would guarantee massive amounts of wealth. And Trump wouldn’t even have to write it himself. Hints of it leaked this last week. Trump is not doodling during staff updates on international crises. He is instead jotting down notes for his memoir. Salacious, soap opera worthy notes. It will be a memoir to beat all presidential memoirs. This book, he has already hinted, would even the score with his enemies, offering juicy, embarrassing episodes, gossip and intrigue to rival any Game of Thrones. Imagine the feeding frenzy among publishing houses and agents–not just for book and movie rights, but theme parks (think Disney) and plays. Trump will work to quickly dethrone Michelle Obama as author of the all-time best-selling political memoir—now at over 10 million copies sold—and to best J.K. Rowling and her Harry Potter franchise. If Trump’s 62 million loyal voters buy his book, that would add up to a lot of money–even hundreds of millions of dollars. There will be a bidding war soon, if it hasn’t already begun! Forget the looming court fights, the soap opera of nightly news, the fireworks of probable indictments, trials, and presidential pardons. The memoir trumps it all. Like those ex-felon, best-selling authors Jeffrey Archer and Anne Perry, Trump can enjoy an even better, wealthier life after the Presidency. His brand will—for better or worse—be immortal. He will escape the radioactivity of his corruption, lies, chaos and deceit, leaving those still loyal—Rudy Giuliani, William Barr and Mike Pence—to pick up the pieces. It’s just as he has done to his business partners for decades. Unlike the Game of Thrones, there is no ending to the Trump series. It will outlive us all.